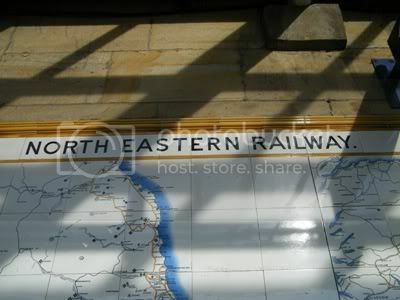 The Directors of the North Eastern Railway, meeting in 1900, authorised their General Manager, Goerge Stegmann Gibb, to erect large maps of the company's passenger network at several of their stations. They were to be constructed of sixty-four 8 inch by 8 inch glazed tiles, with a further eight inch by four inch tiles spelling out the company name at the top. 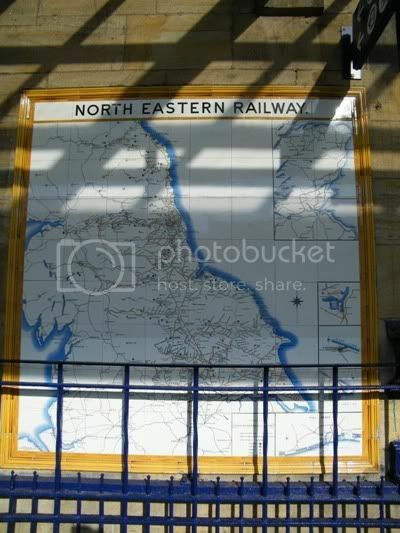 Lines over which they had running rights were included, as were large scale map tiles showing the docks owned by the NER. 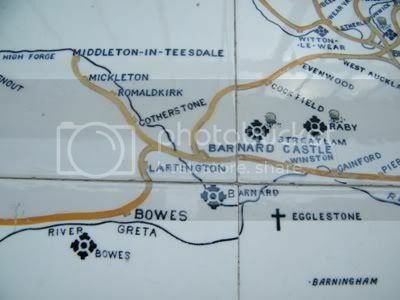 The tiles were to be made by Craven Dunnill & Co Ltd. of Jackfield in Shropshire. The result was a very beautiful tile map, which showed the entire NER system, as well as a few lines belonging to other companies. Most of their own passenger lines were shown, as well as some nearby features such as lakes, lochs, country houses and their parkland, battlefields, castles, abbeys, monasteries and cathedrals. Very attractive, but simple, colouring was used. What is immediately apparent when first looking at an NER tiled map is the sheer size of the Company's network. Stretching from Berwick to almost Rotherham, and Carlisle to Withernsea, it is easy to see why this was once the world's largest railway company.